HB 847 Parental Rights and Med. Treatment of Minors: What was once a detrimental bill to the social work profession that required notarized consent from a parent to treat a minor for mental health or substance use disorders, this bill now attempts to provide protections for parents who have children with complex medical needs from physicians who may report abuse when the parent does not follow treatment orders from the physician. This bill was up for discussion only in a Senate committee and no votes were taken as a lot more work needs to be done to ensure the right protections are in place. 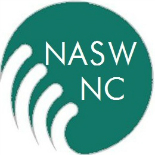 NASW-NC will continue to monitor this bill. SB 838 Medicaid Transformation: This would require that by October 1, 2016 the Legislative Oversight Committee gets a full report on the progress of the 1115 Waiver (Medicaid Reform). The bill passed committee and will be heard on the Senate floor on 5/31. SB 873 Access to Affordable College Ed. Act: This bill would drastically slash tuition and student fees at Elizabeth City State University, Fayetteville State University, Winston-Salem State University, University of North Carolina at Pembroke, and Western Carolina University. Further, the bill would establish a merit scholarship for NC Central University and N.C. A&T State University students that would fund four years of tuition, fees, room and board, textbooks, supplies, and travel. After going through two committees last week, the bill was sent to the floor. However, it was withdrawn and sent to the Senate Rules Committee. SB 867 Protect Students in Schools: This bill would require criminal background checks for teachers and other school personnel. The bill passed one committee and was sent to Senate Finance. This entry was posted on May 24, 2016 by naswnc in Advocacy, Blog Posts by Topic.